There are no shortcuts, no easy way, for the path of a Christian is a narrow less travelled one. We are called to love one another as our Lord loved us. And so we are called to love those who are wary of us, mistrust, dislike even despise us. The same way we would love those who have no opinion of us one way or another but simply desire to know about Jesus. How do we go about doing so? 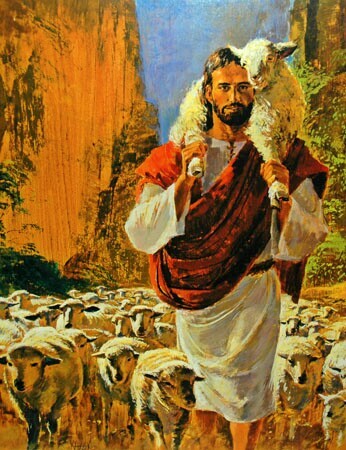 Trust in the Lord our God, He is our good shepherd who will never abandon us. We have a powerful advocate to guide and show us the way. Though Him we will speak what is necessarily and do what is right. And as we plant the seeds of love as we are called to, He will do the rest. The hired man, since he is not the shepherd and the sheep do not belong to him, abandons the sheep and runs away as soon as he sees a wolf coming, and then the wolf attacks and scatters the sheep; this is because he is only a hired man and has no concern for the sheep. I know my own and my own know me, just as the Father knows me and I know the Father; and I lay down my life for my sheep. And there are other sheep I have that are not of this fold, and these I have to lead as well. They too will listen to my voice, and there will be only one flock, and one shepherd.